I’m all for women ruling the world! It’s time for a big change. Ouch, I do hope that you won’t trigger one of our friends. Still, worrying as heck - isn’t this identity theft?! That’s so weird lol Woofy, it seems like you’re famous now. I guess you should call them and ask about your salary, since you’ve been part of their team for so long now. Yes. If I was you, I’d send the company in question the above screenshot. Then I’d demand reparations to the tune of 11 Bitcoin sent to me by no later than 3pm tomorrow. - Or I go public. Alternatively, you can send them a GDPR Subject Access Request and report them for illegal use of your personally identifiable information. That will get their attention. Just keep your fingers crossed that the person using your picture isn’t some kind of international fraudster. If they get exposed, if could be your picture plastered all over the press. You could create a new email account. I have 4. One for Paypal exclusively, one for junk mail, one for personal use, and one for Fiverr exclusively. 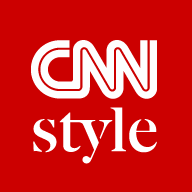 What if they are one of your regular clients? I foresee 1-star reviews in your future if you dare to shame them! So, Wilson, what’s your final verdict? 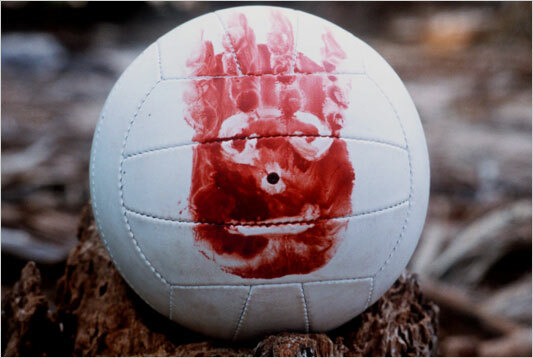 Oh, btw, may I call you Wilson? Maybe they finally decided to kill the Gorgon at CS which kills seller careers when they reach out? Or maybe it’s more to do with the Hydra problem they have with Elevate, And Co, Learn, and all these other things which have popped up out of marketing Hades over the last year? IDK. My Greek mythology isn’t that great and even I’m stretching here. Is that the funky-looking (both dictionary definitions) version of the home page I once saw in incog? 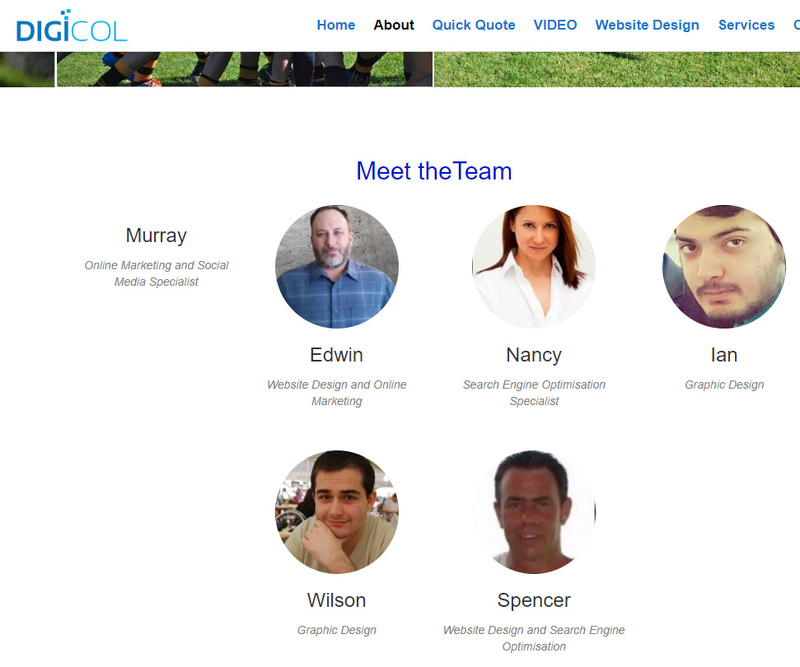 I tried the URL with some obvious modifications but it all looks the same to me. Perseus seems inappropriate; everyone knows about the Gorgon-slaying, but not everyone knows that he then apparently kept Medusa’s head tucked away in his antique leather backpack to flash at random sea monsters, family members, and miscreants when necessary. It’s not mentioned whether the monster statue-making head decayed at all over the years, which is something that I’ve always wondered about. He also “accidentally” killed his grandfather with a discus after giving mother dearest his big decaying head, so there’s plenty of psychological things to go “hmm” over in his story, too (the myth writers try to pass it off as prophecy, but I want to know what Dr. Freud would say!). This is actually one of the less lurid parts of Greek mythology - the true cray-cray doesn’t come out until the Gods start infighting. It’s not mentioned whether the monster statue-making head decayed at all over the years, which is something that I’ve always wondered about. Well, classical statues did become quite big from then on until the fall of the Roman Empire. I think it is safe to say that the head didn’t decay. Instead, it seems far more likely that Perseus and his descendants started moonlighting as sculptors. Michelangelo et al were all frauds. They just sipped Perseus or his heir a Fiverr every now and again to flash his Gorgon head at whoever they wanted to turn into a masterpiece. Likely. a real sculptor probably brought an end to the whole charade by flashing Perseus his reflection mid-stone man or woman making. This would make one of the surviving Perseus statues the the last surviving relic of him and the head. There are so many directions you could take the myth in, really. The fun thing about ancient statues was that they were super-gaudily painted. Today we look at them and see exquisite sculpturing techniques on lovely white marble and marvel at their not-so-prodigious members (as it turns out, the ancient world was not full of size queens). But back then? "Gods in Color," a traveling exhibition, demonstrates how sculptures from the ancient world weren't white as we see them now. Mind you, if you ever go to the Acropolis Museum in Athens (which is right next to the Parthenon, obvs), they’ve got a Lego reconstruction of how it might have looked, including a rather incongruous ambulance (possibly the souvlaki van? I’ll have to check my own pics later) at the entrance. Sadly, they’ve closed it now, which is disappointing. It was the best part of the museum! I saw it in person and it was fabulous. Their statues were not painted, though, which was mildly disappointing. Lego clearly doesn’t care about historical accuracy. 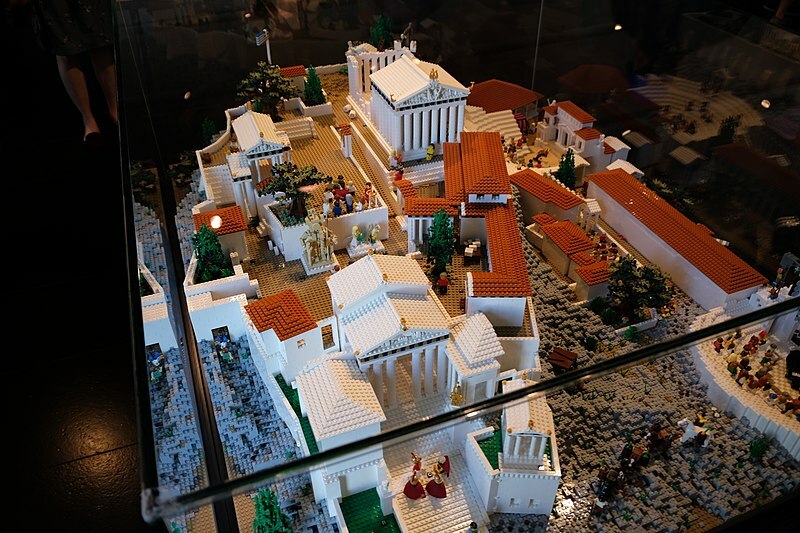 While it's one of the most popular archaeological sites in Europe, the Acropolis’ attraction isn’t only its ancient history; there’s a LEGO version as well. That was almost on topic, perhaps? EDIT: It was a souvlaki van. Bah, I preferred my ambulance interpretation. 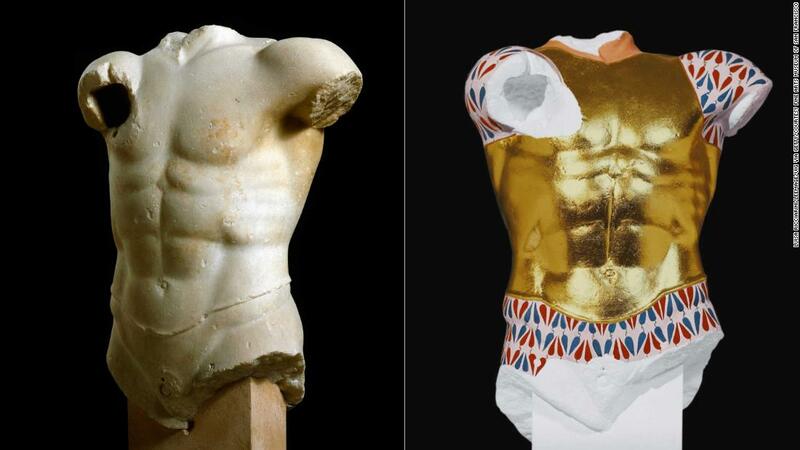 The fun thing about ancient statues was that they were super-gaudily painted. I don’t believe this. It just seems to be an archaeologist going to great lengths to get one of their own assumptions of history into the books. I don’t doubt that some were painted. However, no one is that gaudy. Oh, I don’t know. One has to remember that Athenian culture was a fabulous culture in general. It would be nice to have a time machine to go and see what it was actually like, though. Preferably an invisible time machine so you can just look without having to interfere and cause some butterfly wing-esque chaos further down the line. Preferably an invisible time machine so you can just look without having to interfere and cause some butterfly wing-esque chaos further down the line. Indeed. The last thing you would want would be to materialize in a labyrinth, only to find yourself gazing into your own reflection in Greek shield, before SWOOSH! I’m not saying you are a Gorgon. Time travel just gets funny like that. There is a flower called ‘xxxx xxxxx’ which is one of Europe’s most potent hallucinogens. A friend of mine tried it and ended up in WWII for a few weeks. He is South African and we were in an old Nazi fortification in the channel islands when the event happened. (In this case, where you time travel to seems to be locked to your physical location.) Since you are in the epicenter of ancient Greece, maybe see if you can prepare a batch and go on your own fantastical voyage into the barely clothed, gaudy past. Just be warned, it is highly toxic. I’m not sure. I feel like this area was in the middle of nowhere back then. There is a Minoan pottery oven just under my house, though, so maybe not. It doesn’t look like an oven - it looks like a messy pile of rocks with overgrown weeds. The archeological department can’t come to investigate and classify it because of no money, so it’s just going to hang out there until such a time as a man with glasses and a clipboard can come and do the needful. And then there’s somewhere near here which is allegedly where the Africans first landed in Europe. Or, a bit further down the road, on a very special day, you can see the spirits of a mighty army bearing down a plain in the early morning mist (if you’re lucky).